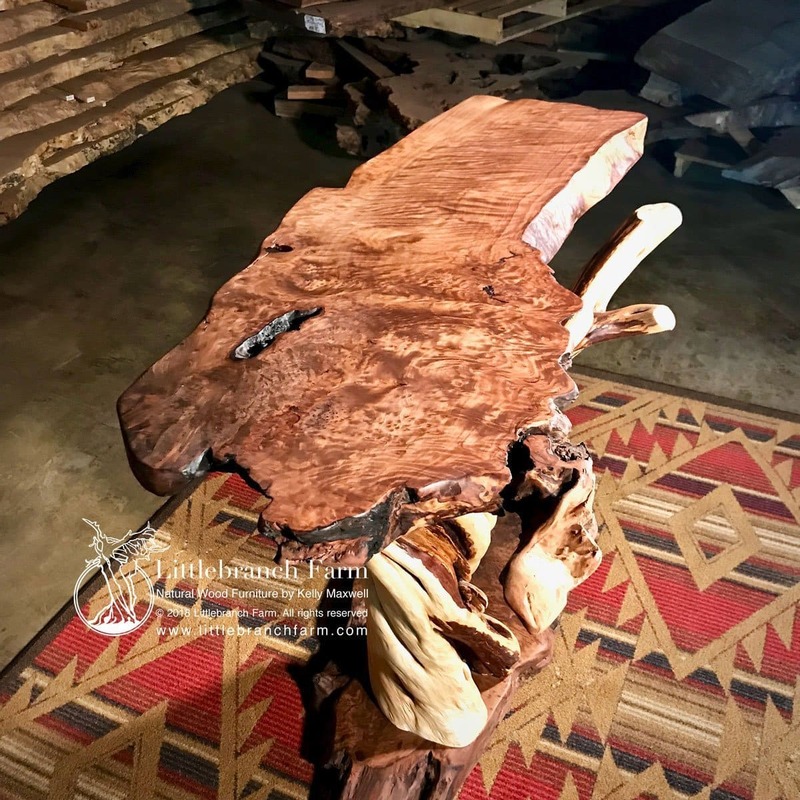 Juniper log table with live edge redwood burl wood slabs. We also welcome custom sizes, but each piece is a one of a kind. 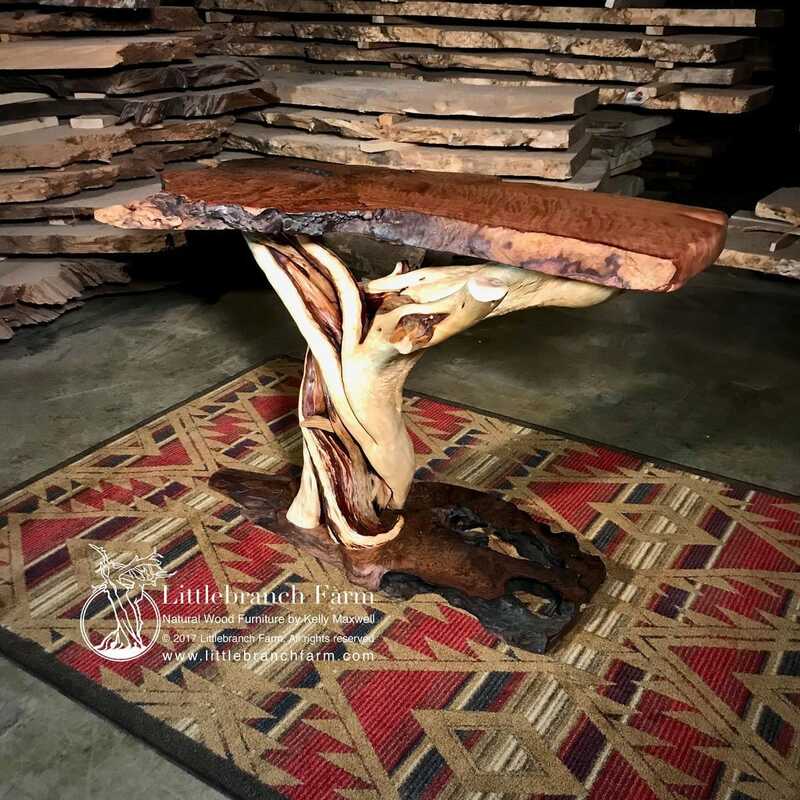 This live edge juniper log table is unique because it features a windblown twisted juniper log. 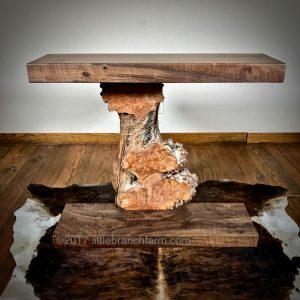 Also, two redwood burl wood slabs are part of this juniper log table. 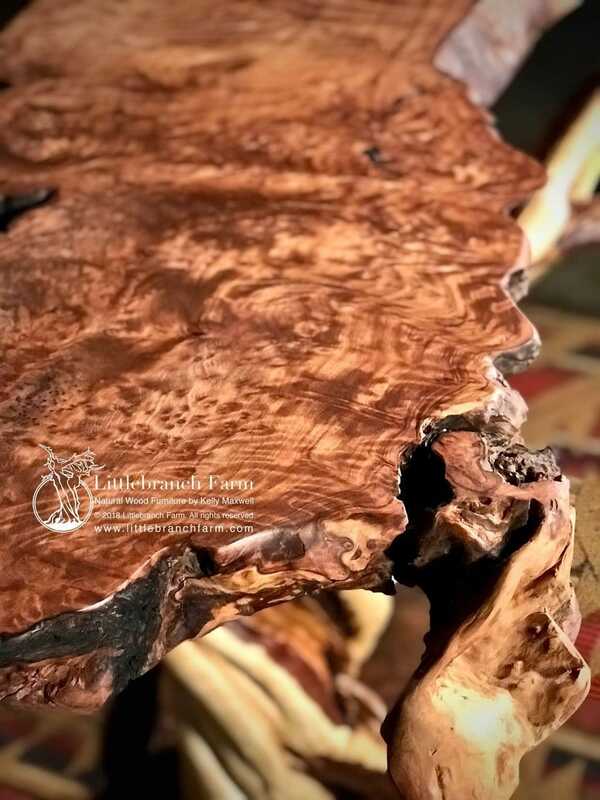 The live edge redwood wood slabs are heavily figured burl wood and curly redwood wood grain patterns. Along with our juniper furniture, we also design and craft a line of live edge furniture. 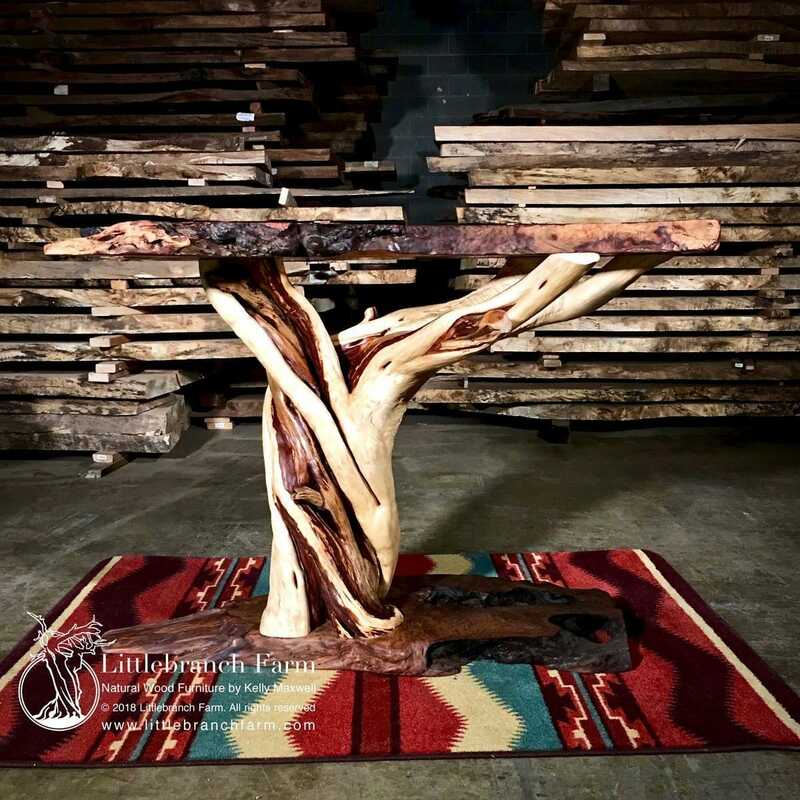 Special care is taken by our custom furniture maker to bring out the natural beauty of the wood. 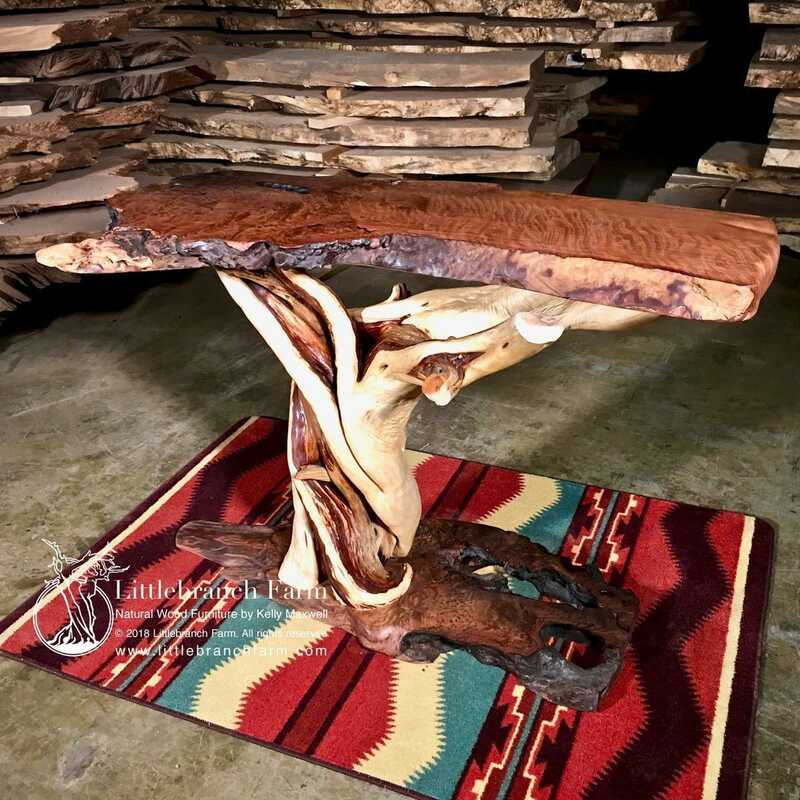 Creating elegant rustic furniture that is functional yet artistic. 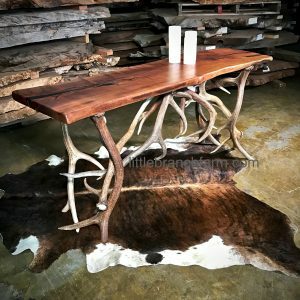 If you are looking for a conversation piece this live edge table may be the one. 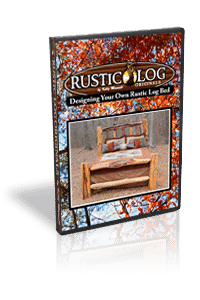 We also welcome custom orders whether a rustic vanity, rustic bed or a rustic table we look forward to working with you. Our studio/ gallery is located in Nashville, TN. 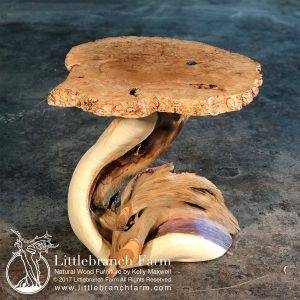 which you will find live edge wood, finished rustic furniture, and other natural home decor.